Charlotte, North Carolina enjoys over 200 sunny days per year. With mild temperatures and a short moderate winter, Charlotte living means outdoor living. 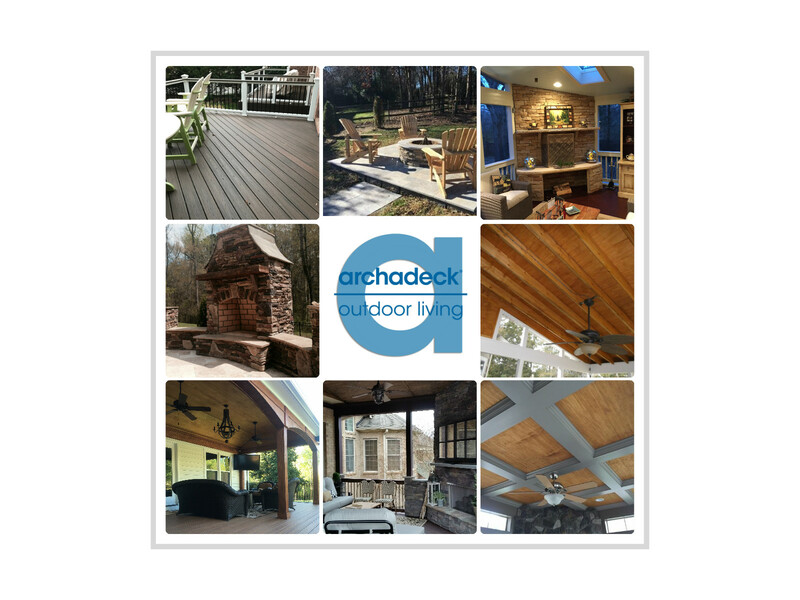 Archadeck of Charlotte has been designing and building gorgeous, functional, top quality outdoor living spaces in the greater Charlotte area for more than 29 years. Wood decks, low-maintenance decks such as Trex composite decks, and screened porches are Charlotte’s most popular living spaces, but outdoor living doesn’t end with decks & porches. We design and build custom stone & paver patios, retaining walls, outdoor fire features such as fireplaces and fire pits, and outdoor kitchens. 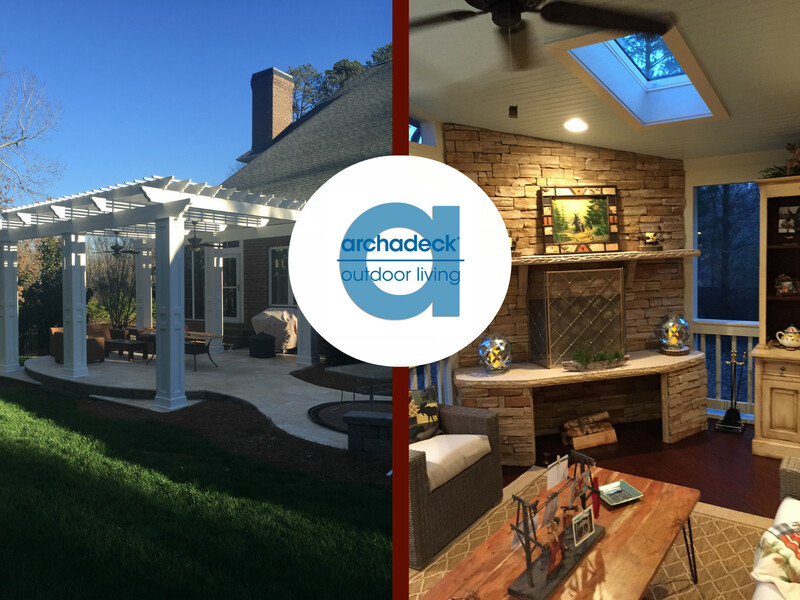 We add character and grace to your Charlotte backyard with custom shade structures like open porches and pergolas. However you use your outdoor space, we will help you not only maximize functionality but also increase enjoyment and allow you to spend more time outdoors. We pride ourselves on quality materials and workmanship with great customer service and we back up our work! We boast more references and satisfied customers by far more than anyone in the Carolinas! We are poised to not only meet but exceed your expectations from start to finish. Take a moment to read our many positive reviews from satisfied customers. We have an extensive outdoor and indoor showroom for our customers to gain new design ideas and make material selections with samples they can see and feel in real displays— not by looking at a one-dimensional image. We also have 2 licensed General Contractors on staff that perform the entire outdoor living space construction. If you are thinking of adding a new outdoor living space, or considering extending and enhancing an existing space, proactive planning is key to your success. You can begin by perusing our extensive photo galleries that showcase our generous portfolio of completed projects to gain new ideas and help visualize what you have in mind. We also offer a wealth of information on various outdoor living topics from materials to lifestyle and decorating ideas on our blog. Our vast knowledge of the Charlotte area gives us an advantage over the competition because we know what it takes to create designs that are truly customized to speak to your needs, desires and budget. Each structure we build is just as unique as the home and client we design it for. Our outdoor living spaces have all the elements that promote the WOW factor. 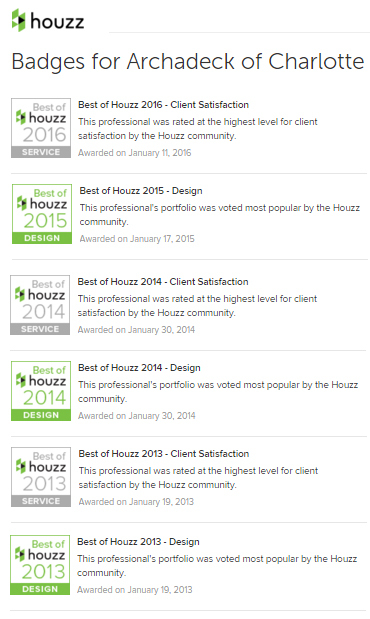 We have received the esteemed Best of Houzz award for 4 consecutive years in both the design and service categories, proving that our designs continue to turn heads locally and digitally on a national level.